Your heritage affects how and when you’ll show signs of aging. Canada’s leading dermatologists advise on the best fixes. Skin is our biggest beauty obsession. We tan it, tattoo it, buff it, squeeze it, love it and sometimes even hate it. Our fixation with it has bred many myths, whether it’s the misguided notion of the “safe tan,” the idea that chocolate causes acne or the belief that skin can be categorized as either thick or paper-thin. None of these is true. In an exhibition called “Ultra Peau,” un voyage sensorial (Extreme Skin, A Sensory Tour), held this summer at the Palais de Tokyo in Paris, curators set out to debunk some of the most persistent beauty myths surrounding the body’s biggest organ by inviting visitor on a tour “under the skin” of different nationalities. According to Kellett, you are lucky if you have more melanin in your skin. “The more melanin you have, the less sun damage you’re going to get – provided you wear sunblock and avoid long periods in the sun.” People with pale skin are at a huge disadvantage when it comes to aging, she says, because they have lower levels of melanin, resulting in more rapid photo-aging. But she is quick to add that sweeping generalizations about different skin types are never accurate. “I’ve seen darker-skinned patients with rosacea and sunburns. Dermatologists are probably the only people who can discern redness on black skin.” The skin reacts the same no matter what colour it is, Kellett goes on to explain. “For rosacea, it turns red and blotchy. For a sunburn, it gets inflamed, then it peels and eventually ages.” That’s why dermatologists recommend that all skin types wear a minimum SPF of 15. HERITAGE REPORT Where do you fit in Canada’s mosaic? ELLE asks the experts for skin-care tips. EAST MEETS WEST If your family hails from China, Japan or Korea, your skin has its own specific traits and special needs. While you have more pigment and less sensitivity to the sun, you still require protection to ward off sun damage and skin cancer. Like black women, those of Asian descent are prone to uneven skin tone. And of all the skin types – for reasons still unknown – Asians have the lowest sebum excretion. This may explain why you are more likely to experience dry skin and sensitivity to certain soaps or fragrances. Star products Dermatologists suggest avoiding foaming cleansers or gels, which can strip skin of natural oils, and using gentler cold creams, cleansing milks or cleansing oils. And if you’re experiencing uneven skin tone or a darkening of pigment (which is common as women of Asian heritage get older), look for products designed to even out sensitive skin. Products containing soy reduce inflammation and are effective in preventing discolouration. Dermo cure Laser resurfacing or peels may help to smooth uneven skin tone, says Dr. Leslie Baumann, director of the University of Miami Cosmetic Center and author of The Skin Type Solution, but these procedures may be to aggressive for your skin type and might actually lead to more problems. “Some Asian skin is quite dark and not as sensitive, but, for the most part, the less melanin Asian skin has, the more sensitive it tends to be.” Kellett recommends consulting with a dermatologist to find a program that will work best for you. ISLAND BEAUTY If your ancestors come from countries in Africa, the Caribbean or those close to the equator, you have more pigment in your skin and, therefore, more natural sun protection. But even though you have less sun sensitivity, you still need sunscreen. Aside from the risk of sunburn and skin cancer, sun exposure increases the melanin production in your skin, which can cause hyperpigmentation, or an uneven skin tone. One common disorder in black skin is melasma (also known as pregnancy mask); it creates darker skin on the forehead and cheeks and above the upper lip. But any trauma to the skin – whether it burns, cuts, acne or an irritation from a product – can cause temporary darkening. And because you are darker, dry patches are more visible, especially during winter months, the most challenging season for your skin type. Star products Baumann recommends looking for a face and/or body moisturizer with small amounts of lactic or glycolic acid to exfoliate dead skin cells and combat the condition called “ashy winter skin.” If you’re dealing with hyperpigmentation, again consider products designed to even out skin tone or skin-care formulas that contain soy, an ingredient that Baumann says has been proven to help prevent discolouration. Kellett says to avoid bleaching products containing hydroquinone, a substance that inhibits melanin production, because they may turn your skin grey or blue. Dermo cure Laser resurfacing or peels performed by an experienced dermatologist can help with uneven skin tone, but because pigment is so deep in the skin, these may be ineffective or, worse, cause more unevenness. Kellett notes that black skin is also prone to dermatosis papulosa nigra, or small brown papulae that occur around the eyes and cheeks. A skilful derm can burn these off in one treatment with a procedure called electrodessication. The best defence againsthyperpigmentation is to avoid squeezing and fussing with pimples and protect yourself from the sun with sunblock or a hat. WAR OF THE ROSES If the roots of your family tree go back to countries like France, Germany, the United Kingdom or parts of Scandinavia, you’re typically fair skinned. Because you have less pigment, your sun sensitivity increases, so you are more likely to develop age spots and freckles. You’re also at higher risk for skin cancer. “It’s evolutionary,” says Kellett. “We develop melanin to protect ourselves from sunlight. So in areas where it’s very sunny, people have more melanin in their skin. But in places like Australia, where it’s warm and sunny, you have the highest skin-cancer rate in the world simply because most of the population can trace its roots to England. There hasn’t been enough time for evolution to increase the melanin content in their skin. That takes thousands of years.” Celtic skin types are also more likely to be genetically predisposed to rosacea, a condition that can be worsened by sun exposure, wind, cold, stress, spicy foods, alcohol and pollution. Dermo cure If you’re bothered by sun damage or rosacea, a dermatologist can help. For signs of aging, there are five basic fixes: facial peels, laser resurfacing, Botox injections and the new crop of fillers (including collagen, fat, hyaluronic acid and calcium hydroxyapatite) and other technologies, including Intense Pulsed Light (IPL) and Thermage Radiofrequency. For rosacea, remedies include IPL, laser treatments and topical prescription creams that decongest and strengthen blood vessels. CLUB MED If your family came to Canada from Italy, Greece, Spain, Portugal, Turkey or areas of the Middle East, you have the most moderate skin of all the categories listed above. Unlike fair-skinned women of British or northern European descent, you don’t burn in the sun and you’re less likely to show signs of sun damage (although that doesn’t mean you don’t need sunscreen). And compared to those whose ancestors come from Africa, the Caribbean or Asian countries, you rarely, if ever, experience uneven skin tone. In fact, as Baumann notes, you “tend to age very well and have few skin problems.” Out of all the variations of skin type around the world, you could call yours the happy medium. Your one big challenge is that you’re prone to dark circles under the eyes. Kellett speculates that this is mostly related to genetics, not pigment changes. “Some Mediterraneans have deep-set eyes and dark circles. These are indicative of vascular congestion, meaning that the veins underneath the eyes are very prominent and show through the skin, which causes darkeness.” Faouzi Berradia, medical relations and training manager for Vichy Laboratories, notes that many people with a Mediterranean background also experience eczema or dry patches during Canadian winters. Star products For your specific needs this fall, look for rich, hydrating moisturizers that alleviate the signs of dry-skin itch or eczema, and bathe in warm water because hot water only dries your skin out further. 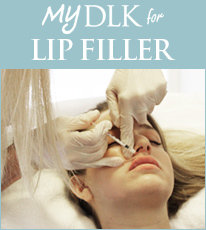 If you have dark circles, see your derm for laser treatments or injectible fillers. Dermo cure As we age, capillaries under the eyes can create a purply-blue cast to the thin skin in this area. Some dermatologists are now using Restylane injections to restore padding under the lower eyelids and reduce the appearance of dark circles. They are also prescribing topical creams rich in vitamins A, C and K to diminish the appearance of darker veins. Lightly dab on a small amount with your finger to avoid stretching the skin. If dark circles persist, a good concealer is your best bet.